I continue the list of Fright Meter's 50 Obscure Horror Films Every Horror Fan should see with numbers 29 through 20. 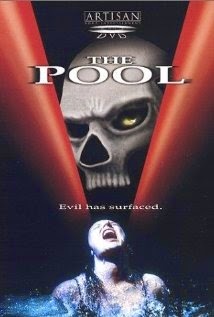 There have been some creative settings for slasher films over the years---grocery stores, furniture stores, malls, schools, golf courses, bowling alleys--but perhaps the most ambitious and creative setting was the giant indoor waterpark from the 2001 slasher flick The Pool. A group of friends (including a young Isla Fisher and James McAvoy) break into the indoor pool facility for a party. It doesn't take long before an unknown killer begins picking them off. Fast paced, likable character, and bloody deaths make this a fun watch. The film also proves that machetes and waterslides definitely do not mix! Pin is a life size ventriloquist dummy that has been part of brother and sister Ursula and Leon's lives for quite a long time. To say he is creepy is an understatement. And when Ursula starts dating, Pin and Leon do not take too kindly to losing her attention. 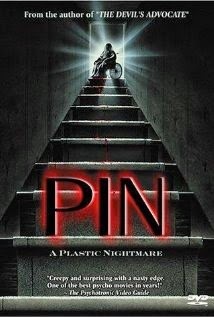 More of a psychological thriller than anything, Pin explores some dark and deep themes. It's eerie and refreshing considering what was being released at this point in the 80's. Additionally, great performances and effective direction make this a definite hidden horror gem. 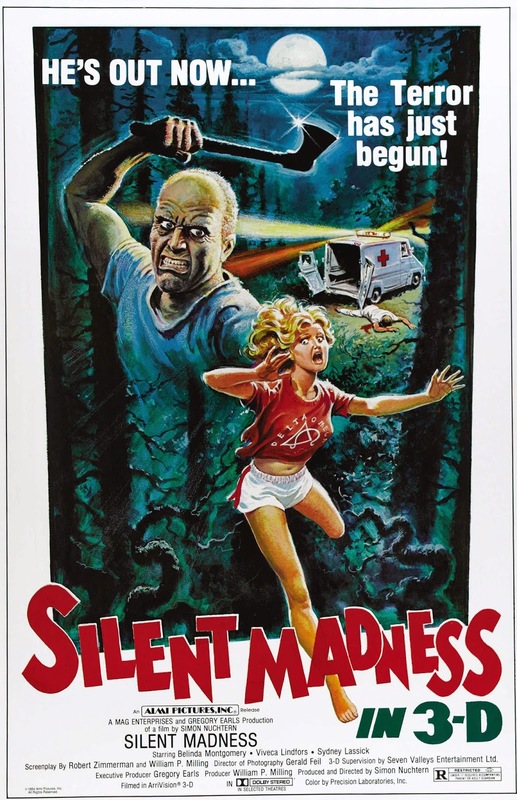 Released during the peak of the golden age of slasher films, Silent Madness, was quickly overlooked, buried among the countless other slashers being released. Despite having the 3-D gimmick to make it stand apart, it still never gained the popularity or recognition is deserves. 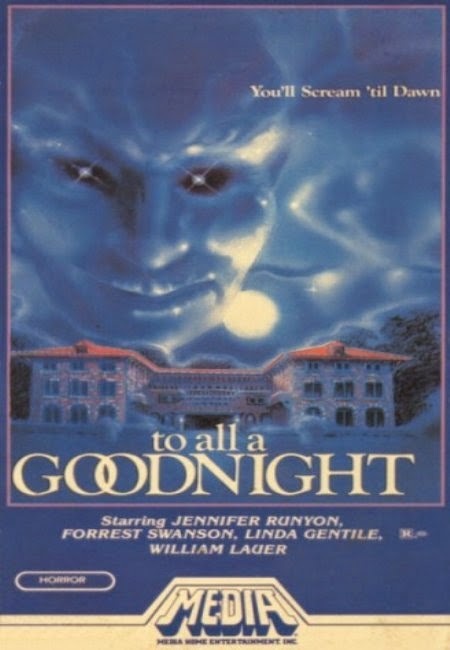 While the plot, it a nutshell, is about a psychopath who escapes a mental institution and terrorizes a sorority house, it actually is a little bit more complex than one would expect. Replete with interesting and memorable characters, elaborate and mean spirited kill scenes, and an extremely ominous tone, this one if definitely worth checking out for slasher fans. If you think home invasion flicks are tired and overdone to the point of being cliched, think again. You must--I repeat must see Kidnapped, which in my opinion is one of the--if not the--best home invasion horror films ever made. This Spanish film is a complete and utter shock on the senses as we witness a family being terrorized by a group of home invaders hoping to steal some money. To say it's brutal is a complete understatement; the ending packs a major punch and will leave you speechless. See this. Now. Every year it seems there are a plethora of low budget, independent horror films released that claim to be homages to some of the greats such as Halloween, Friday the 13th, and The Texas Chainsaw Massacre. As most horror fans know, a good majority of them are garbage. Nothing more than cheap rip offs with no heart or effort put into them. 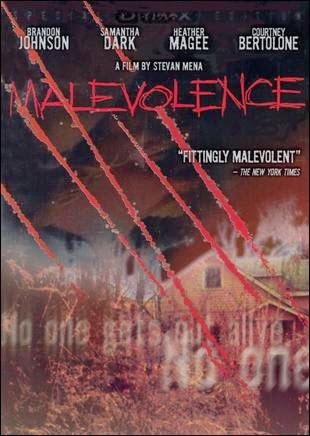 Malevolence is quite different--it's a homage done right. The simple tale of a group of bank robbers who hold up in an abandoned farmhouse and are stalked by a madman successfully borrows from the films named above, but does so with just the right amount of originality. So often, what we think we know is going to happen does not. Add to that an unbearable sense of dread, a fair amount of suspense and scares, and this film truly exceeds all expectations and is one of the best slasher films released in the last decade. This film would absolutely be higher on my list if I weren't for my assumption that most die hard horror fans have seen it or heard of it. It is simply one of the best slasher films of all time. Yes, you heard me right. 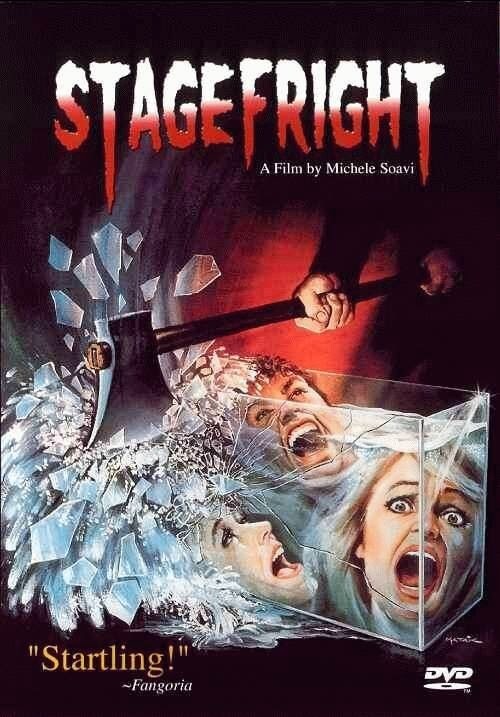 A group of actors rehearsing a play about a psycho killer are locked in the theatre and stalked by a psycho killer. Directed by Italian filmmaker Michele Soavi, the film blends the over the top violence and beautiful cinematography of Italian giallos with the suspense and claustrophobia of the American slasher film. The giant owl costume is frightening and the film manages one of the most suspenseful and downright terrifying scenes ever filmed, as our heroine attempts to obtain the key from under the stage where right above her, the killer owl sits. A brilliant film that does not get the credit it deserves. I am often time amazed at what directors can accomplish on minuscule budgets. This was certainly the case after viewing Christopher Witherspoon's road rage tale, Rage. The film deals with a man who has an encounter with a motorcyclist. Little does he know that he provokes a dangerous and deadly game that ends much more brutally than can be imagined. Despite its budget showing at times, Rage is a engaging film with a tight script that avoids cliches and keeps us guessing. The final minutes of the film are disturbing and hard to watch. The film is definitely a cautionary tale that will make you think the next time you honk at that person who cuts you off in traffic. (Read our review here). Besides may the Scarecrow from The Wizard of Oz, scarecrows are quite freaky. Imagine, being in a vast, isolated field in the middle of the night, surrounded by countless hideous looking scarecrows who seem to be....watching you. That nightmare becomes of reality for a group of bank robbers in this film. 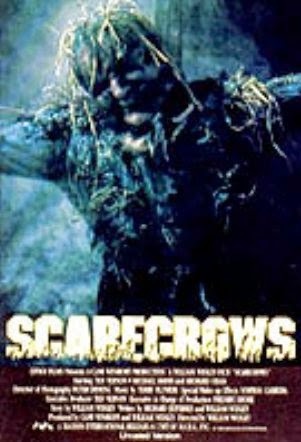 The atmosphere of this film is incredibly creepy and the scarecrows are some of the most horrific looking monsters ever created. They are ruthless and blood thirsty. Try to watch this at night with the lights off without getting at least a tad nervous. Truly a frightening film. 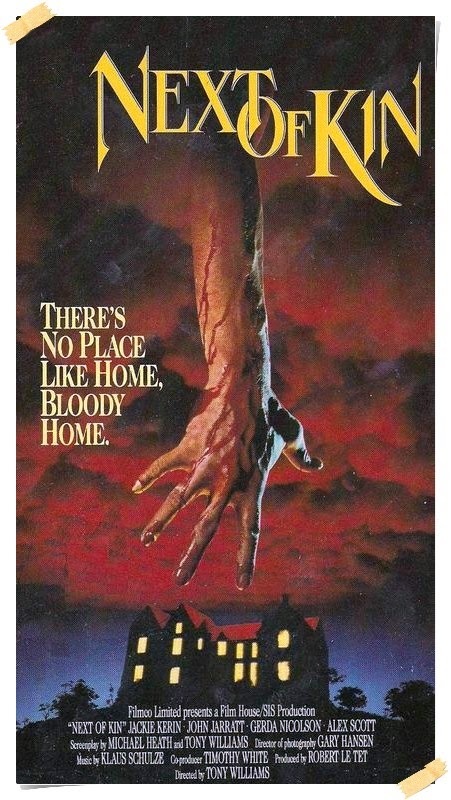 While all the fuss and protests erupted over Silent Night Deadly Night in 1984, this film, directed by genre vet David Hess in 1980, sat gleefully on the shelves of video stores across the nation. It features a killer Santa Claus stalking and murdering a group of sorority girls and their boyfriends over Christmas break. This film epitomizes the 80's slasher--it's sleazy at times, contains enough gory kills and cheesy moments, but is also full of the nostalgic charm that we just don't see anymore. The killer reveal at the end was way ahead of its time as well, making this a contender for one of the most overlooked and underrated slasher film from the 80's. If you like your films more on the creepy side, then Next of Kin is right up your alley. A slow burn of the most effective kind. It tells the story of a young woman who returns to her hometown after inheriting a large mansion, used as an old age home for years. Strange events start to occur in the house almost immediately after she arrives. Replete with gothic elements and a heavy sense of dread, the films moves deliberately toward its finale. The last 20 minutes of the film are truly surprising and terrifying. This is one to definitely watch alone with the lights off on a dark and stormy night.